Time to Change, the UK-based campaign to end mental health discrimination, this month published a report that treads very similar ground to this blog. The report, titled “Making a drama out of a crisis“, considers both positive and negative trends in representations of mental illness in drama, overall acknowledging that depictions of such characters are becoming more “authentic, sympathetic, and complex”, and that a relatively new type of narrative has come to focus upon stigma and the perils of exclusion. It also, however, highlights a number of examples of unhelpful stereotypes being reinforced, with characters suffering from a mental illness still prone to being depicted as violent or as “tragic victims”, and “medication myths” being perpetuated that compress the time it takes for medication to have an effect, or for any effects of withdrawal to become apparent, exaggerating the notion of medication being the only viable means of treatment. The report’s conclusions also highlight the influence of drama on people’s actions, reporting that those who know someone with a mental health problem are more likely to reach out to them after seeing such issues onscreen, and that those with a problem are more likely to seek help. Drama can and does make a very real and significant impact upon our everyday lives. The report is well worth a read in its entirety, whilst it also suggested to me that it was about time this blog turned the clock back further than it has done to date to consider how a celebrated, older drama would measure up today. For that reason, and given I relatively recently started watching the series in its entirety, we venture into an all-time classic and the mind-bending reality of… The Twilight Zone. 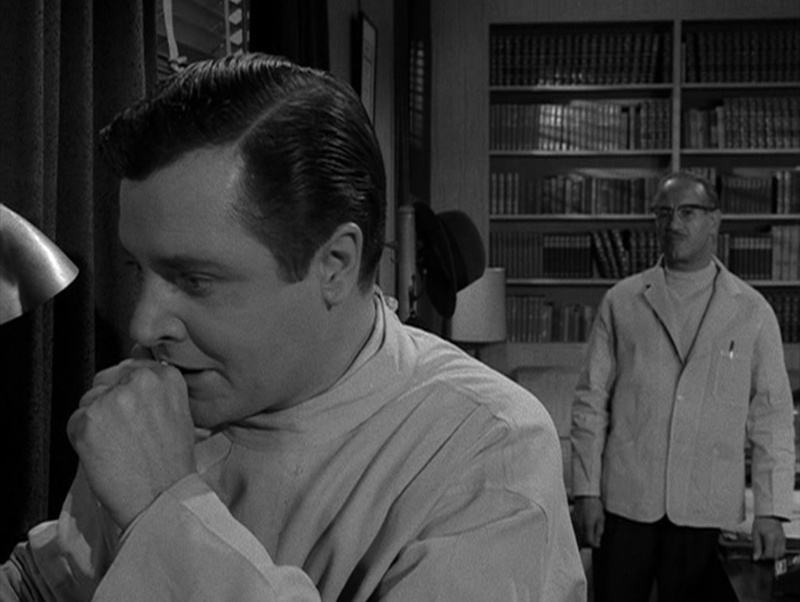 The Twilight Zone is, of course, a highly influential anthology series that in many regards stands up very well today, and whose strong influence can be seen in such series as The X-Files. But, specifically, how does this instalment’s representation of mental illness fare when considered through modern eyes? This is about as expositional as the script gets, as befits The Twilight Zone. 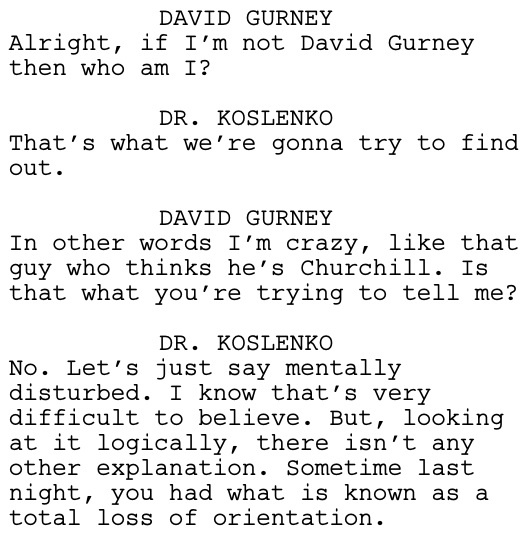 If we were to place a modern diagnosis upon “David Gurney”, then it would likely be dissociative fugue or dissociative amnesia. 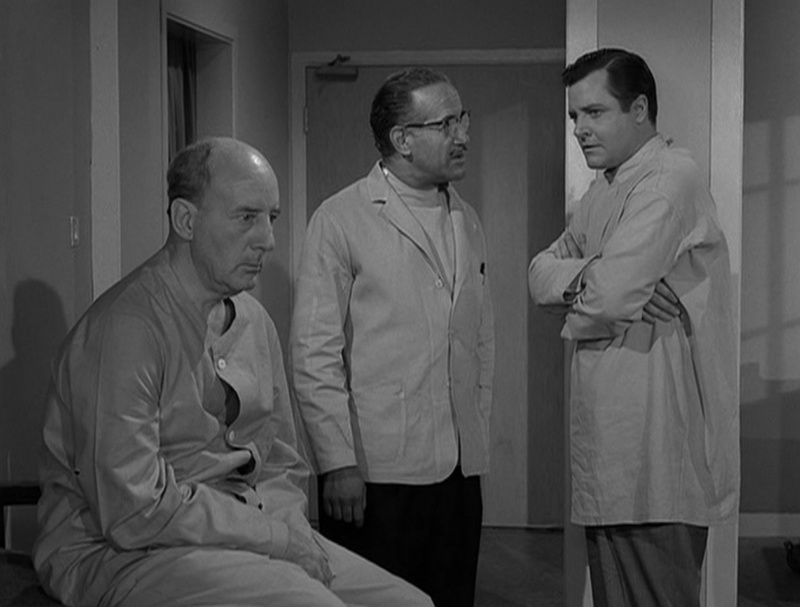 Such fugue states, during which the sufferer may assume a new identity as Gurney attempts to do here, were not unknown in the Sixties, but the shifts in diagnostic standards in the half century since “Person or Persons Unknown” was written and first aired are not to be underestimated. Yet, whilst the style of acting has certainly changed markedly over this period also, Long’s performance certainly portrays the sense of internal chaos that sufferers can endure. It is noteworthy also that this is the third consecutive choice for this blog that features a mental hospital heavily in its plot. 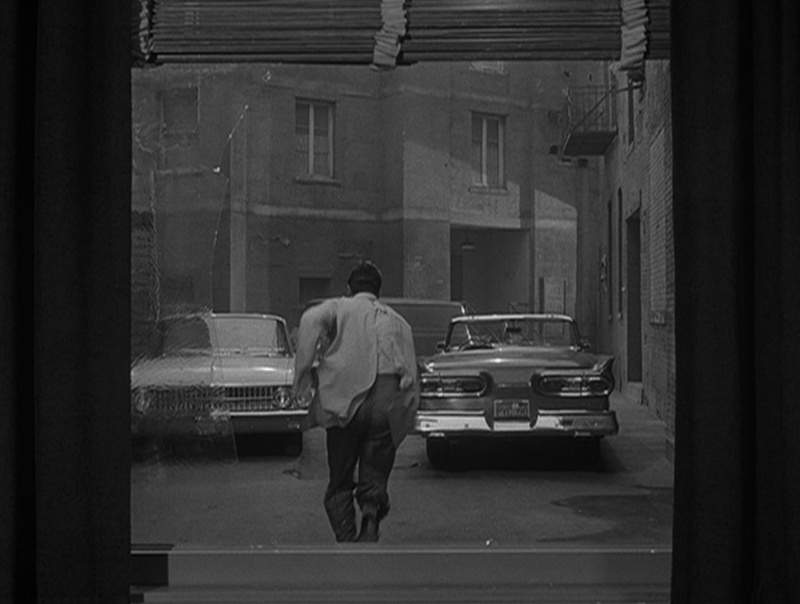 In “Person or Persons Unknown”, the set design and atmosphere depict a relatively welcoming, peaceful environment wherein security is so lax that all Gurney has to do in order to escape is to dive head-first through Koslenko’s office window (by all accounts something of a recurring behavioural trend in Twilight Zone)! 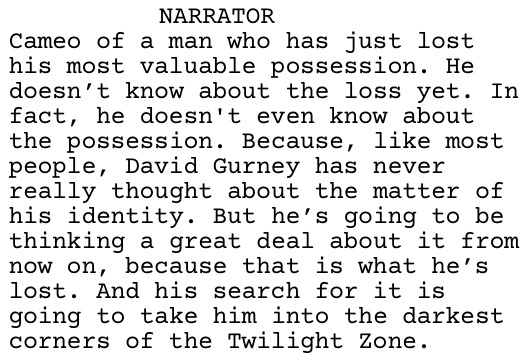 Key to the core tenets of The Twilight Zone, of course, is that each instalment leaves the viewer with unanswered questions and a sense of the unknown or unknowable. The series would therefore not set out to offer an explanation for conditions or circumstances such as those endured by David Gurney. Instead, it prompts the viewer to consider his or her own sense of self, even whilst it simultaneously serves to inform their perceptions of mental health.